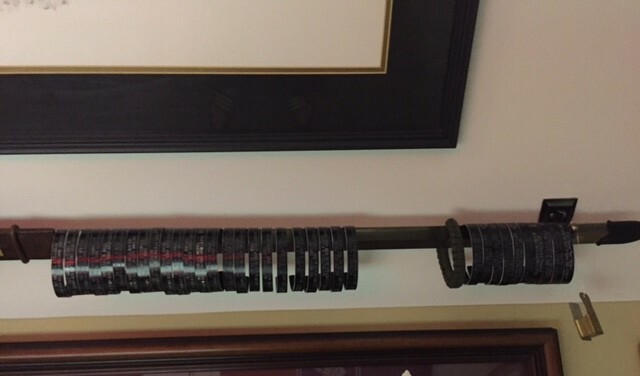 He spent more years in the Army than he did out of it. Richard Weik was just 17-years-old when he enlisted. He served his country for 29 years and nine months, retiring a command sergeant major, the highest rank an enlisted soldier can achieve. That’s more than a quarter of a century of training, experience, and the beauty and burden that comes with military service, especially in war time. 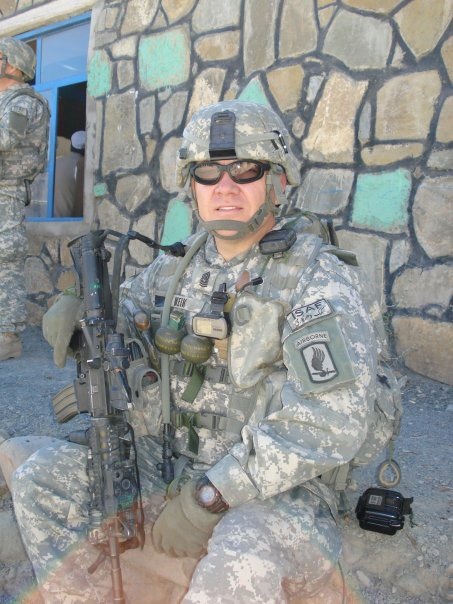 Weik commanded hundreds of paratroopers in the 173rd Airborne Brigade, with two combat deployments to Iraq and Afghanistan. He’s now the president of a major military and police equipment supply company in Columbus, Georgia. Those deployments and his Army career are in his past, but one thing is with him every day: the soldiers he lost. He calls them brothers. The 173rd is a small brigade – and it lost many. According to the 173rd Airborne Brigade National Memorial Foundation, 91 soldiers from that Brigade died in Afghanistan and Iraq. Weik has been to many hospital rooms, to too many funerals. “You form a tight bond with these soldiers because you do hard things together fighting the enemy, and all of a sudden they are gone,” he says. “You come back, and their wives are still there, their kids are still there playing in the front yard – and you just think about them all the time.” He recites the dates his close friends died the way the rest of us remember birthdays. The month, the day, the year, the location. "They're not here. It's devastating." In remembrance, soldiers like Weik wear black bracelets for the fallen. The bands list the names, units, and killed-in-action date for a soldier who died. Nearly 300 miles away in Florida, another veteran takes an opportunity to remember the fallen, like the ones on Weik’s bracelets and so many more. Retired Navy Commander Marinus Storm operates a Chick-fil-A restaurant in the heart of Jacksonville. 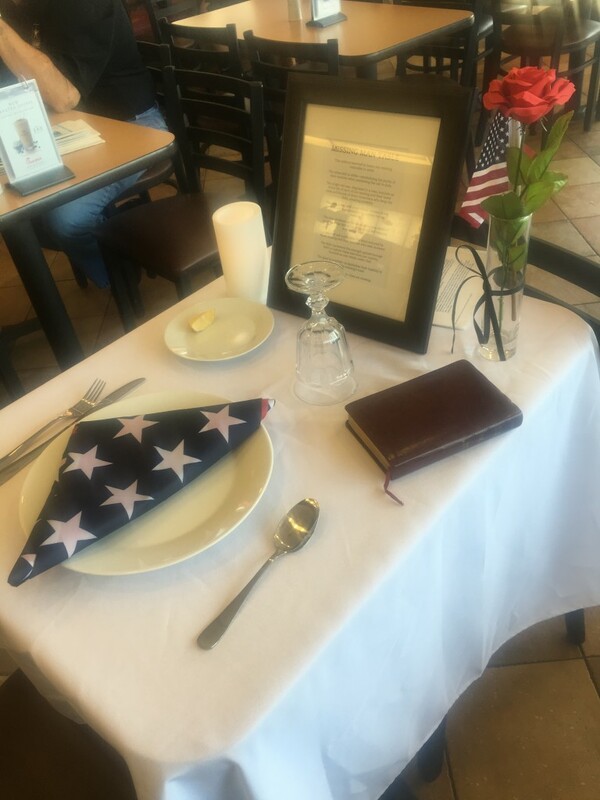 He says his restaurant gives him the perfect opportunity every Memorial Day to honor those who made the ultimate sacrifice with a special display. And Storm isn’t the only Chick-fil-A franchise owner who honors military service members at their restaurant – military appreciation events and memorials happen at restaurants across the country, but one in particular holds special meaning. The National League of POW-MIA Families calls it a Missing Man Table. Typically, it is part of a ceremony where someone reads a script explaining the meaning of every item at the table. Among the symbolic items: a white tablecloth for the purity of the service members’ motives in serving their nation, a pinch of salt for the tears their families shed and an empty chair that will never be filled. That ceremony has been modified to a static display, and many Chick-fil-A franchise owners around the country are setting them up as a thank you to troops who have given their lives in service to our county. “People have always been touched by it, especially veterans and the generation that has children in the armed forces now,” Storm says. He’s set up the table for most of the major holidays since he opened the store in late 2004, but Memorial Day is especially poignant. “Memorial Day is a somber holiday - it’s really about the fallen. The current or recent service members who come into our restaurant are really affected by this,” Storm says. Storm is proud to honor the legacy of service members killed in action. He also sees it as a chance to remind the public that Gold Star Families, those who have lost service members in action, must live with an empty seat at their tables every day. "There's no doubt this is an opportunity to teach people, specifically those who don't have any connection to the military, about the sacrifices our service members make and that hose losses last," he says. At the Woodlawn Square Chick-fil-A in Marietta, GA, Marketing Manager Chelsea Blackstock sets up her store’s Missing Man Table. Last year was the first time the restaurant took part in the tradition. Blackstock says she was especially moved by something a customer added to the display. “One day, an article showed up on the table. It was a newspaper story about a local veteran who had been missing in action since Vietnam,” she says. That service member is one of more than 1,600 troops still missing from the Vietnam War. Ann Mills-Griffiths, Chairman of the Board for The National League of POW-MIA Families says it gives her pride to see restaurant companies like Chick-fil-A set up Missing Man tables. Command Sergeant Major Weik agrees. It’s an unrelenting memory and a substantial load to bear. “When you truly don’t know if orders you’ve given your guys will result in them never being able to see their kids or be at the Thanksgiving table, it weighs heavy on you. So if that Missing Man table can educate people who go to Chick-fil-A, then I think it’s fantastic,” he says. 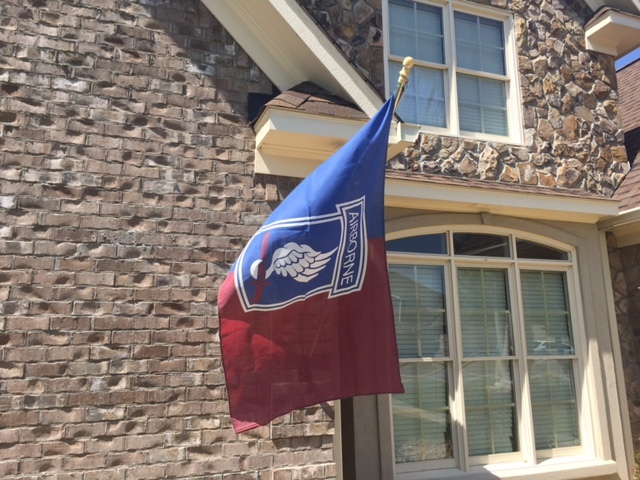 As for Weik’s holiday plans, he will do what he does every Memorial Day: visit the 173rd Airborne Memorial site at Fort Benning. He’ll look at the names on the stones and again thank them for making the ultimate sacrifice. He hopes others will take a moment out of their day to remember as well. If you would like to set up a modified Missing Man Table in your home this Memorial Day, here are the instructions from the National League of POW-MIA Families. This is the full ceremony, but a spokesperson from the organization says it can easily be modified to one place setting at a standard table using the items mentioned.